KOBE Paras’ transfer to another NCAA Division 1 school is expected to go smoothly, as Middlebrooks Academy denied reports the Filipino player has an ‘SAT issue’ with UCLA. In a statement entitled ‘Kobe Paras & UCLA: The Facts,’ Middlebrooks denied a Los Angeles Times report quoting Cathedral High School principal John Montgomery as saying that “there was a SAT scoring issue” with the Filipino cager. “It was reported in the Los Angeles Times that the Cathedral High School Principal made a statement that ‘there was a SAT scoring issue.’ The challenge is readers do not know that this small 6-word statement was in reality made as part of a larger statement and unfortunately many people have construed this statement to mean something it does not. “For the record, Kobe Paras has a SAT score and that SAT score has been used as part of the process to evaluate his academic eligibility through the NCAA Eligibility Center, which has ultimately deemed Kobe Paras a full academic qualifier,” said Middlebrooks in the statement. Middlebrooks also noted the Filipino teen sensation’s academic achievements at Cathedral. Los Angeles, CA - As of June 28, 2016 Kobe Paras will not be attending UCLA. Kobe Paras and his father Benjie Paras want to be sure the general public and all fans are clear about the facts, to the best of their ability, in an effort to facilitate as much understanding as can be provided. The matter is still very vague and fresh but two (2) points are very clear. The first point is the UCLA Athletic Department has communicated to Kobe and his family that Kobe is indeed a full academic qualifier per NCAA Eligibility Center academic requirements. The second point is the UCLA Admissions Department (which is a separate entity from the Athletic Department) made a corporate decision on June 28, 2016 to deny Kobe Paras admission to UCLA, thus prompting Kobe to leave UCLA’s summer school session immediately. UCLA has released their official statement regarding this matter. It is up to the reader as to how they interpret that statement and what in fact is being said. The Paras family does not know any more information than what has been communicated via the UCLA official statement. No meeting between the UCLA Admissions Department and Kobe Paras has ever taken place and therefore the Paras family has not been made privy to the intimate details or rationale as to why the UCLA Admissions Department made the decision not to admit Kobe Paras. It is important to also know that as with any acceptance or denial to a college in the United States, the admissions department at any school is not required to inform any student or their family as to the reasons why or why not a student has been accepted or denied admission to their college. The case is no different for Kobe Paras and UCLA does not have to give him specifics as to their decision to deny admission. At this point the core objective is to ensure Kobe’s transition is done swiftly and without any additional frustration to him and his family. Kobe Paras has worked extremely hard academically and will find a college home. - Kobe Paras is 100% an academic qualifier for college at the D-1 level, through the NCAA Eligibility Center. 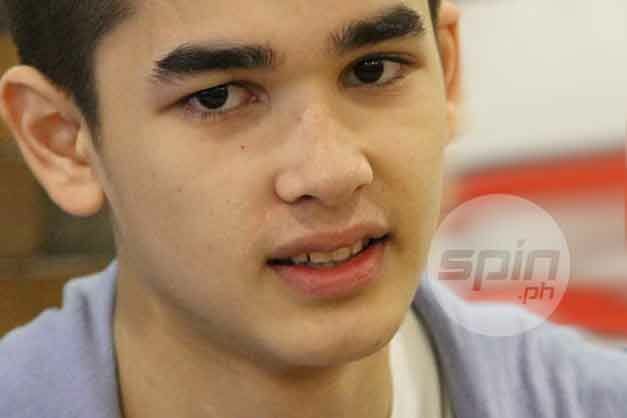 - Kobe Paras is actively looking for a D-1 college to attend and he has not opted to go pro. - Kobe Paras is a high school chemistry Star Scholar award winner, Physics and Calculus award winner, an inductee of the California Scholarship Federation (a high school honor society founded in 1916), a multiple semester Honor Roll student and graduated from Cathedral High School with honors. - Cathedral High School is a renowned college preparatory school that has fostered hundreds of graduates to 4 year colleges. Notable Cathedral alumni include: Bobby McFerrin (10-time Grammy winner, recorded "Don't Worry, Be Happy”), Ed Reyes (Los Angeles City Councilman), Antonio Villaraigosa, (Former Mayor Of Los Angeles) and Christopher Chulack (Television producer and executive producer of ER, Third Watch, Southland and Longmire). - It was reported in the Los Angeles Times that the Cathedral High School Principal made a statement that “there was a SAT scoring issue.” The challenge is readers do not know that this small 6-word statement was in reality made as part of a larger statement and unfortunately many people have construed this statement to mean something it does not. For the record, Kobe Paras has a SAT score and that SAT score has been used as part of the process to evaluate his academic eligibility through the NCAA Eligibility Center, which has ultimately deemed Kobe Paras a full academic qualifier. - This is not a hype issue or a reflection of any on-the-court issues. Kobe is very close to many of his now former teammates at UCLA as well as the UCLA coaching staff. Kobe had been committed to UCLA for a long period of time. The UCLA coaching staff and Kobe Paras are all deeply sorrowful over this university decision that is unfortunately beyond all of their control. However it is a decision that all parties must accept and move forward. - Kobe does now have numerous D-1 offers that he is sorting through and will make an announcement as to where he will attend in the near future.